Through the use of brushes and various combinations of often pastel and neutral colors, creating that digital watercolor style in Photoshop can be a fun and rewarding experience. If you’re interested in creating this technique, try following along with one of the many tutorials listed below. 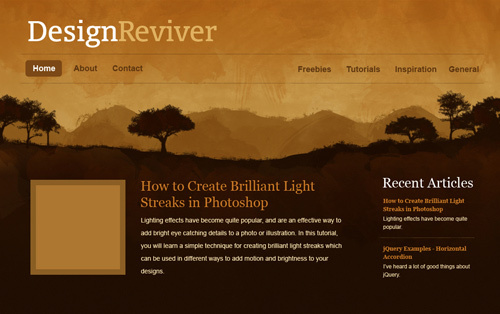 Most of these tutorials will require the use of Photoshop brushes to execute the technique and offer links to the ones used. If you want to change things up a bit and use a different brush, make sure and check out the roundup of Photoshop brush sets below this collection of tutorials. Not only have watercolor brush strokes become a popular trend in modern web design, but so have advanced layers of transparency (or what is called, translucence). The new Envato design has received a lot of kudos for using this effect, and this tutorial will show you how to create a similar effect, while combining it with other popular web trends. 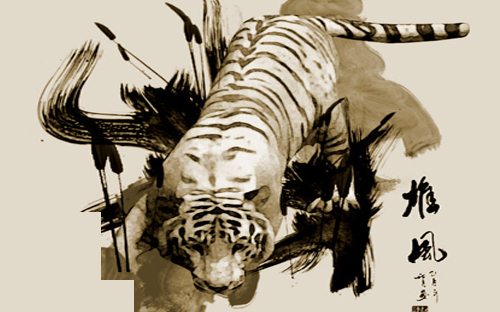 Follow along with this tutorial using Photoshop brushes and images to create a watercolor inspired Chinese painting featuring a Tiger. 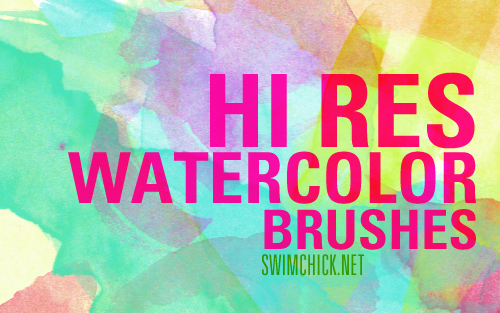 There are only 8 steps from beginning to end and all links to images and brushes are included. 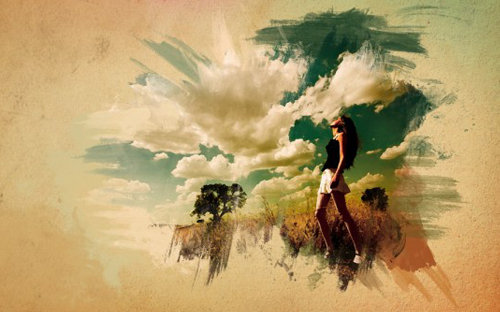 In this tutorial, you’ll be taken through, step by step, the creation of some custom brushes, and application of them to a stock image to create a matte dispersion effect. 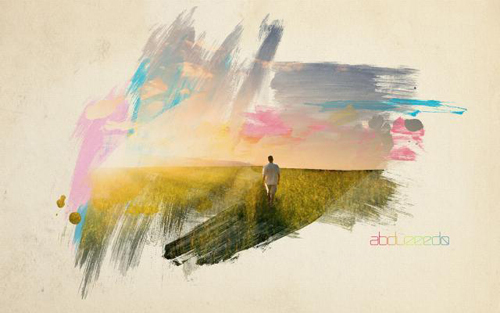 You’ll learn how to create and save brushes, utilize complementary colors, and manipulate stock images for a visually stunning final result. 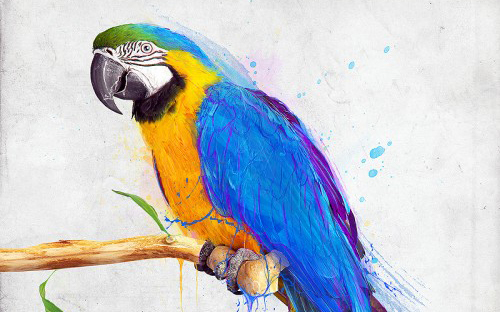 Watercolor in graphic design has become very trendy the last couple of years, many websites and incredible designers are using this style and taking it to another level. Even knowing the technique is important in this kind of design, is more about creativity and experimentation. You will learn how to use the Art History Brush and combine it with watercolor custom brushes to create a nice background header image and more. Check out the screencast for the tutorial as well. 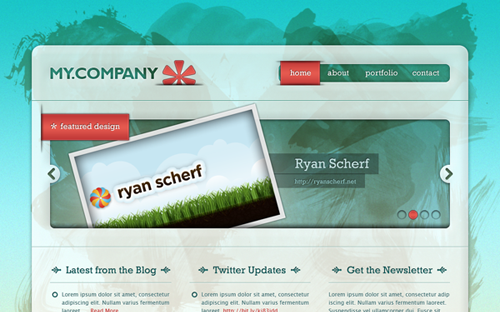 Use of watercolor in website can really lighten up your design. In this tutorial you’ll learn how to combine textures in your layout to create a beautiful watercolor layout. 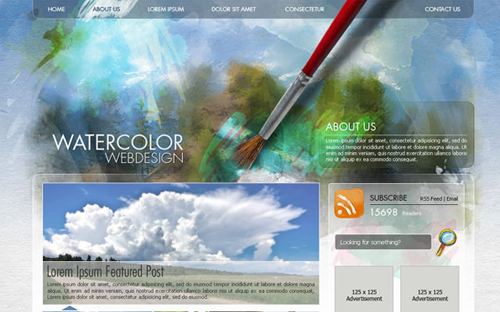 You will see how integrating the element of painting in your webpage can make your layout very artistic and creative. 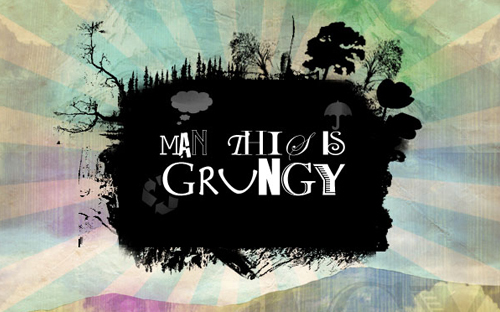 This tutorial will walk you through how to create a grungy floating island, complete with a watercolor textured background. 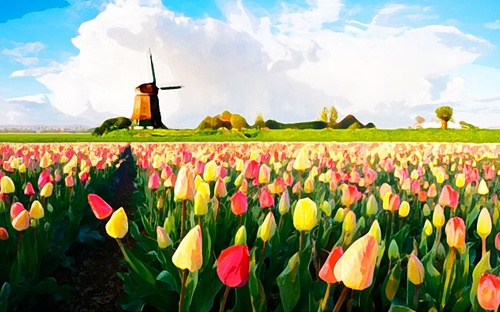 The tutorial focuses heavily on how layer blending modes can be combined to great effect. In this tutorial, you’ll learn how to mix vector elements and watercolor effects with text to create a stunning design. It’s a quick process that depends heavily on good choices of images and colors. In this Photoshop tutorial you’ll learn how to easily make a photo look more like a watercolor painting. This photo effect works best on images where maintaining rich colors and strong contrast is more important than keeping any fine details, since you’ll be losing a lot of detail with this effect. 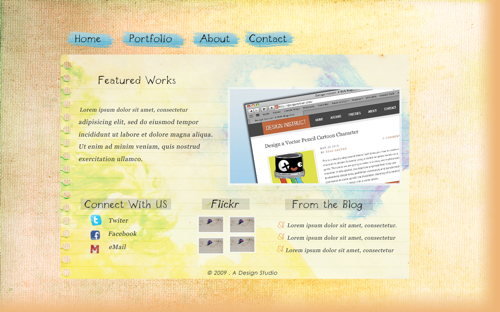 This is a two-part tutorial on how to create an artistic and un-typical CSS list menu as seen on Web Designer Wall. In the first part (this article), you will learn how to design a watercolor effect menu in Photoshop. Then in next tutorial, you will learn how to slice the menu and code in CSS. Watercolor is one of those effects that can be difficult to replicate digitally, but with a little practice and experimentation you’ll find it to be rather fun. This tutorial will be based around creating a really cool watercolor effect, but this technique works just as well when creating paintings in Photoshop. So you’ve seen the tutorials and maybe completed one or two. Now it’s time to make your own digital watercolor creations. 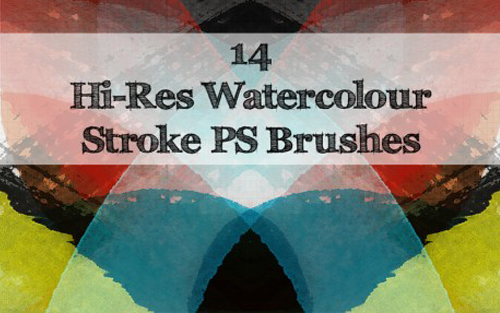 To help you get started with some resources, here is a collection of 15 Photoshop watercolor brush packs. 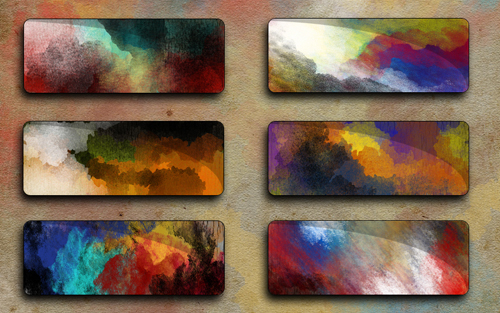 A pack of 20 watercolor brushes at a resolution of 1000px wide. You may not use these brushes commercially without the authors permission. 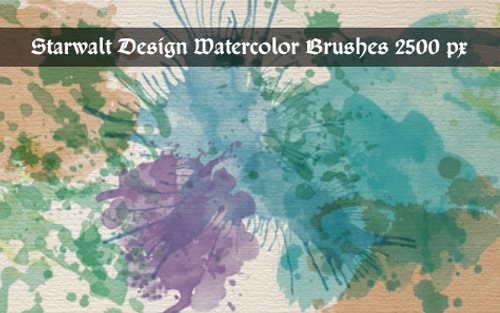 A collection of 26 high resolution watercolor brushes at a resolution between 1480px – 2500px. You can find set 2 here. 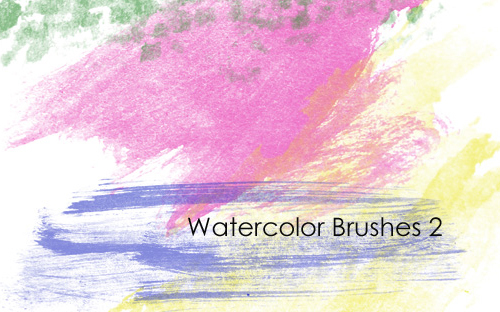 A collection of 20 high resolution water color Photoshop brushes at a resolution of 2500px. This is set 2 of the collection. Set 1 can be found here. 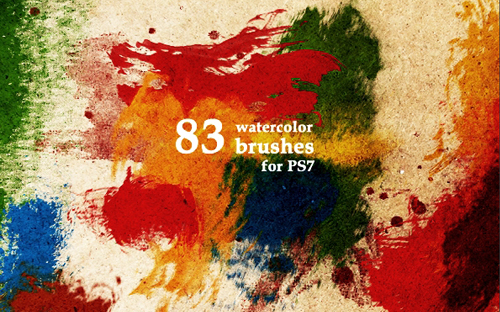 A huge pack of 83 watercolor brushes with a resolution of 700px – 1200px. Compatible with PS7 and up. 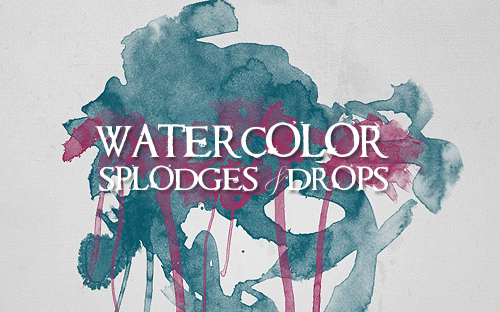 18 Photoshop watercolor brushes made to imitate watercolor droplets and brushstrokes, globs of paint, ink drops, acrylic brushstrokes and various other artistic media. 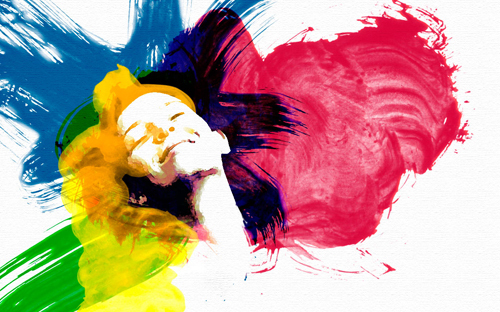 A combination of 25 Photoshop watercolor brushes compatible with PS 7 and up. 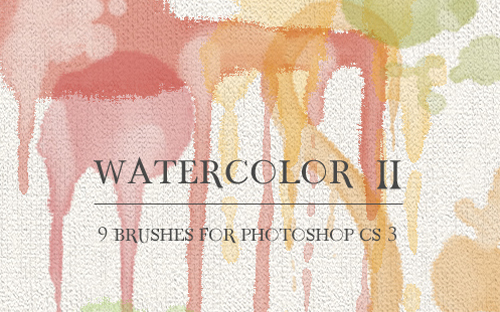 This collection includes 9 watercolor Photoshop bushes created in CS3. 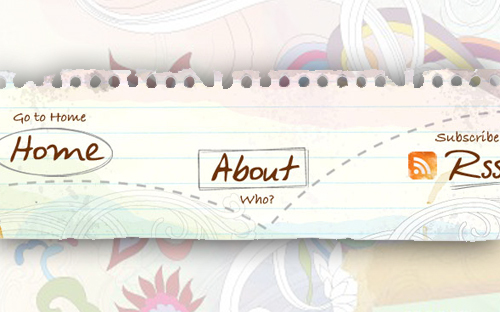 The PSD file is included for those who have earlier versions. 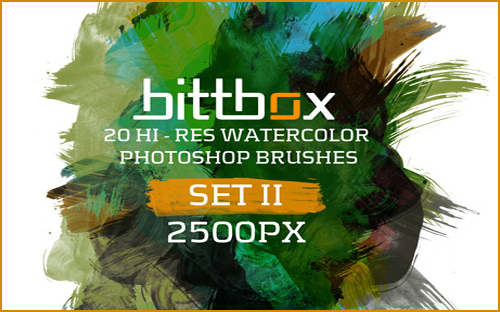 Complete set of 32 high resolution Photoshop splatter brushes. Created with artist-quality watercolor paint on cold press watercolor paper. 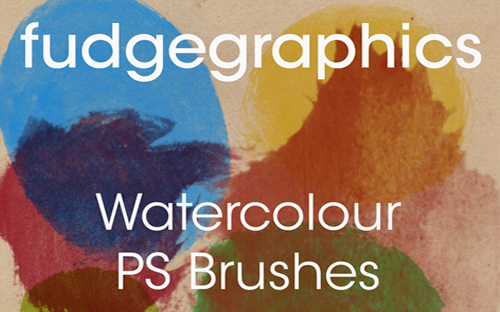 A large collection of high resolution watercolor brushes ranging from 900px – 2000px in resolution. 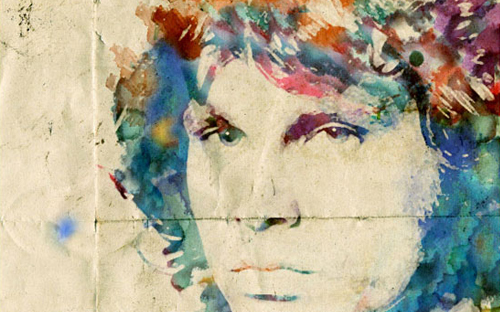 Realistic collection of 10 Photoshop watercolor brushes. 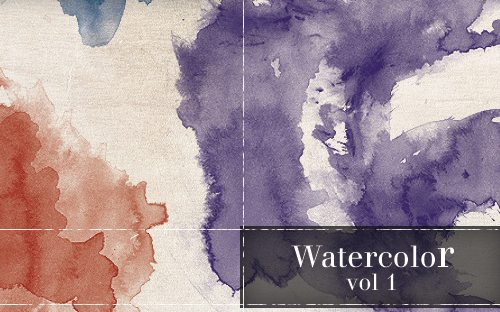 Large collection of 40 watercolor Photoshop brushes ready to download. 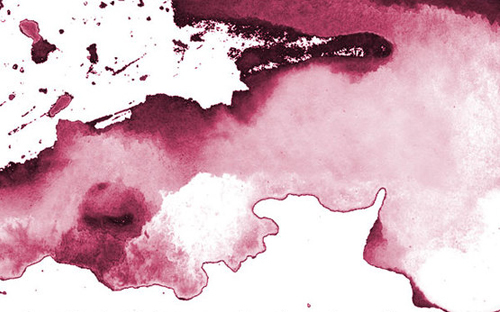 5 watercolor brushes for Photoshop created in CS4. 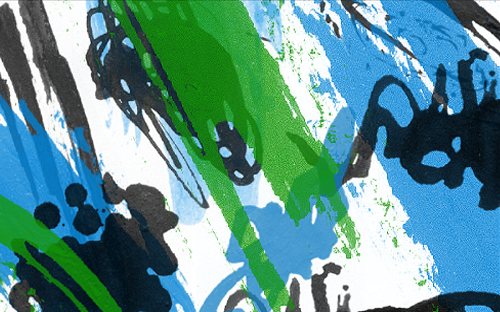 Brushes range in size from 400px – 1000px and were originally painted on paper using poster paint. 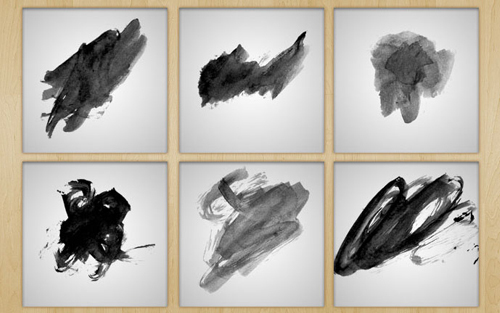 A collection of 14 brushes in an extremely high resolution ranging from 1597px – 2500px. PSD source files included. 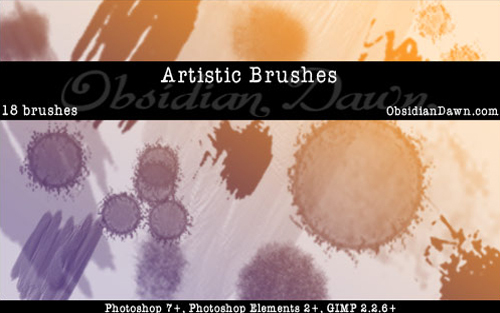 A set of 4 high resolution watercolor brush sets (22 for premium members) each characterized by lots of beautiful details including shades, contrasts and enhanced edges. Watercolor effects fall into what I like to call “Timeless Designs”. When done right, they are always going to be pleasing to the eye. I’ve personally written a tutorial on creating a watercolor text effect in Photoshop, that you may also be interested in as well. 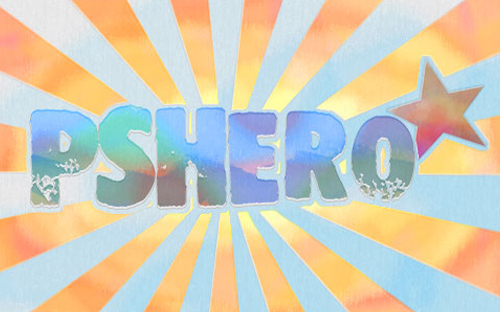 I’m about to try out the “Super Cool Watercolor Effect In 10 Steps” tutorial. Thanks for including the brush packs too. Nice little bonus. Just downloaded the Watercolor Brushes Vol. 1 and they work great. Thanks for the wonderful resources! Hey Shawn! Great roundup you’ve put together here. I’ve always been a fan of watercolor since I was young and made the transition to digital with it a few years back. Picked up a few brushes and a tutorial from the list. Thanks! Superb tutorial collection. Thanks so much for sharing! 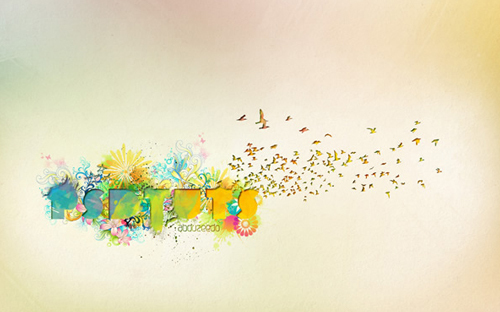 Some amazing effects and art, just wish i had such creative skills! very great brushes and skills. thanks for this post. very useful collection. thanks for sharing them. That’s cool! Amazing collection. Thank u dear. thanks for the brushes. appreciate it man! Its nice of you to share these all,thanks a lot.